We are specialized in theme parties from different countries like Flamenco & Spain, Salsa & Cuba, Tango & Argentina and Rancheras from Mexico or Storytellings like Journey to Latinoamerica, Baila Flamenco, Mexico: Past Live Party, Traditional Games and Quixote of la Mancha. We travel to your chosen venue in London and far away depending on the kind of party you would like to celebrate. 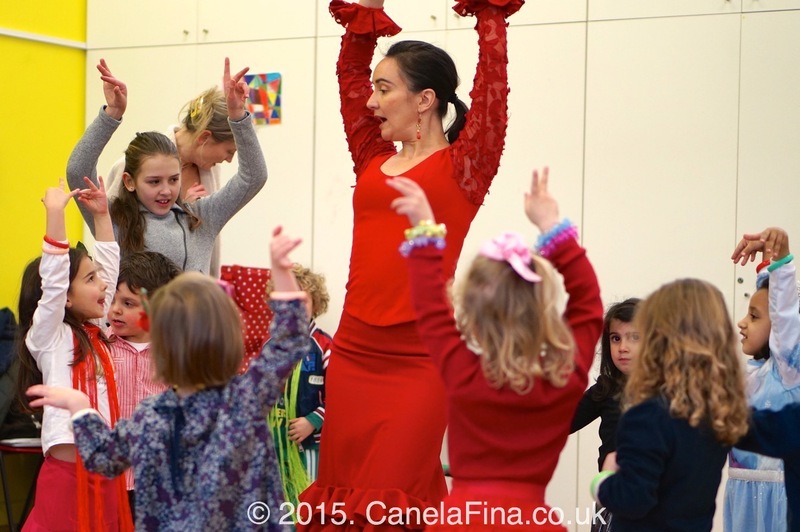 This amazing party will make your birthday girl or boy feel like a real flamenco dancer! After dressing up and learning how to move their arms, feet and body to the music, they will do a short performance. All our flamenco teachers, guitarists and instructors have years of experience teaching and entertaining children from the age of 4 years through to young adults. They are all CRB/DBS checked. We bring flowers, shawls and bracelets for girls and red/blue “fajines” (belts) for boys to dress up during the party. Show with live music for parents also available before dancing, clapping and body percussion with children. Ask for our flamenco packages with flamenco dancer, guitarist and Spanish food like paella or tapas. Available for 30th, 40th … birthday parties as well. We want children to enjoy and learn Spanish through the kitchen, creating a passion for our food along with healthy eating habits. 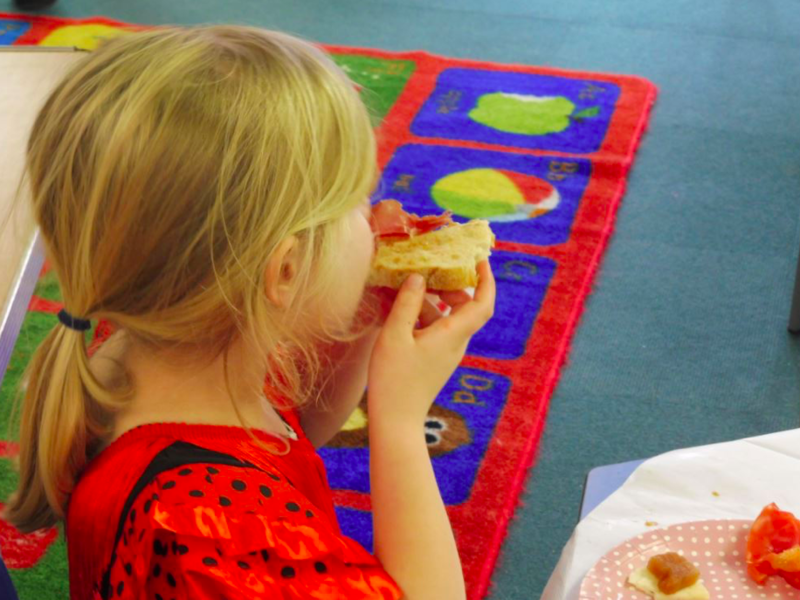 Children will enjoy making great healthy and delicious tapas with our Chef and learn a bit of Spanish at the same time. They can take it to home or enjoy with their friends and family at the party. We bring disposable plates, glasses, cutlery, birthday cake and all ingredients. Different Spanish, Mexican and Cuban menus available, halal and vegan menus too, please ask for details. Location: London and 60 miles around. Don Quixote of la Mancha, Journey to Latin-America, 3 Little Pigs – Little Red Riding Hood and Traditional Games to delight your guests with Spanish Culture and have a lot of fun with a unique party! Please ask for further details.